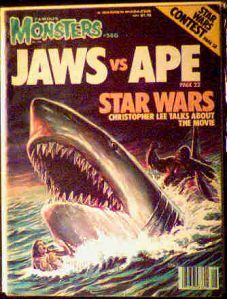 August 1978 issue of FM with features on Jaws 2 and Star Wars. Mint condition. After 1976, there was hardly an issue of FM that went by without some reference to Star Wars. Website design and hosting by Sohodojo Business Services. Item 123 of 466 items displayed in viewer. 0 items in cart.